Teeth … More unique than pearls. Your teeth: A window to your general health. Teeth are unique engineering marvels, all 20 of the baby set and all 32 of the adult set, without exception. They are the strongest structures in the whole body, all of them little super beings! However teeth break down when exposed to too much acid and acid producing bacteria. I invite you to think about your teeth first before you put anything in your mouth: you may be surprised to find out that your whole body will also feel better from simple changes that safeguard your teeth. 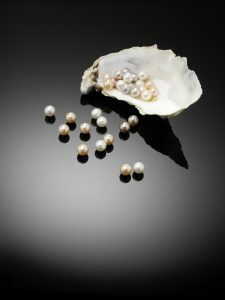 We often compare teeth to pearls, but unlike pearls, teeth are alive. And although dentists can repair or replace teeth in ways that are very natural and aesthetic, today’s technology is still far from reproducing the amazing engineering marvel a tooth is. Enamel is the hardest structure in the whole body. So hard that dentists use diamonds to cut through it. The outer shell of enamel on a tooth is designed to last a lifetime. The diagnosis of even just one cavity should raise the alarm as tooth decay is the sign of an imbalance of such amplitude that it has led to the collapse of the hardest tissue in the whole body.